Be careful who you take to the range. Teach proper gun handling at home prior to the novice's first range trip. 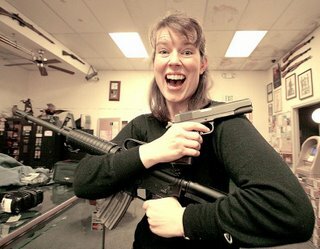 They might be a mild mannered liberal elementary school teacher, but without a little prior education before arriving at the range, they may become a full blown idiot with a gun.